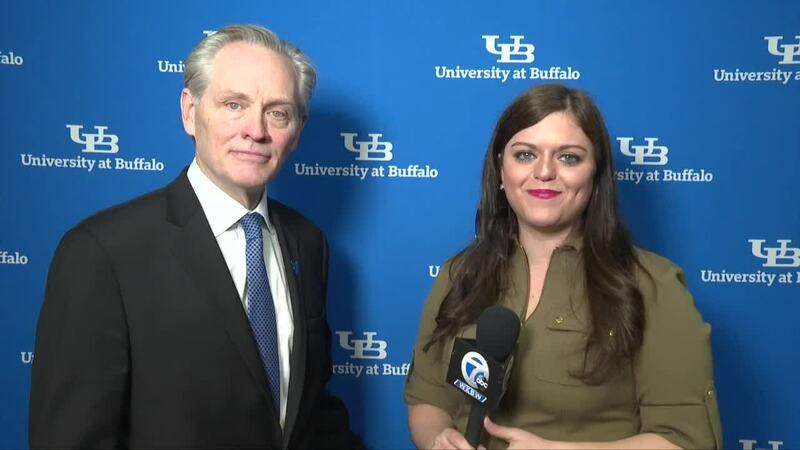 AMHERST, N.Y. (WKBW) — Four years ago, Jim Whitesell was brought to UB as an assistant men's basketball coach. On Monday, he was officially introduced as the new head coach of the Bulls program. Whitesell was hired on Saturday during the Final Four festivities and was back on campus Monday to talk to past and current players, school officials, and fans. He becomes the program's 14th head coach. For more on Whitesell's hiring, you can click here. You can watch our full interview with Whitesell above this article.